On April 26th in Joglo Besar FIB, Social Activist Department from EDSA held an event. If you were there you’ll probably know what it is. Yup, it’s E-Care.E-Care stands for EDSA care, it’s an annual blood donation event held by SA and it’s one of Social Activist Department’s projects. Unlike the previous year E-care was open for public,this year it was only for FIB students. However the enthusiasm was still great. There were so many people coming to donate their blood and it was terrific. This year E-care brought up a theme “Be a donor be a hero”. To be a hero, one doesn’t have to wear a cape or fight criminals. It can start with small things like donating blood.To sum it up, let me tell you a story of heroes who sacrificed their blood for people who needed the most. On that day, young brave warriors marched into the battlefield and conquered their fear. Sharp cold sword pierced their skin and like a leech bite, it sucked their blood. Not a single sign of dread was shown in their face. They took it like a heroand they came out of it as hero. Victory at last on their hand and the people were saved once again. We interviewed Amindya G, the project leader of E-care. She explained that the event targeted 50 people but because the Indonesian Red Cross was late so the event failed to reach its target. Indonesian Red Cross was supposed to come at 9 a.m. However they had urgent business to attend to. They had to dispatch blood stocks to the hospital that was running out of blood bags so they couldn’t come on time. Despite a minor problem, the event can be considered success. After all there were 43 people donating their blood, so it wasn’t really off the target right? Same as the previous year, E-care also held a charity fundraising to be distributed to Bhakti Asih, an orphanage for children with multiple disabilities. We hope that it can help to lighten the burden of the children in the orphanage and the blood can help the people in need. Good job social activist and thank you for holding this event! Universal Studio finally released their newest series of Fast and Furious, “The Fate of the Furious”. 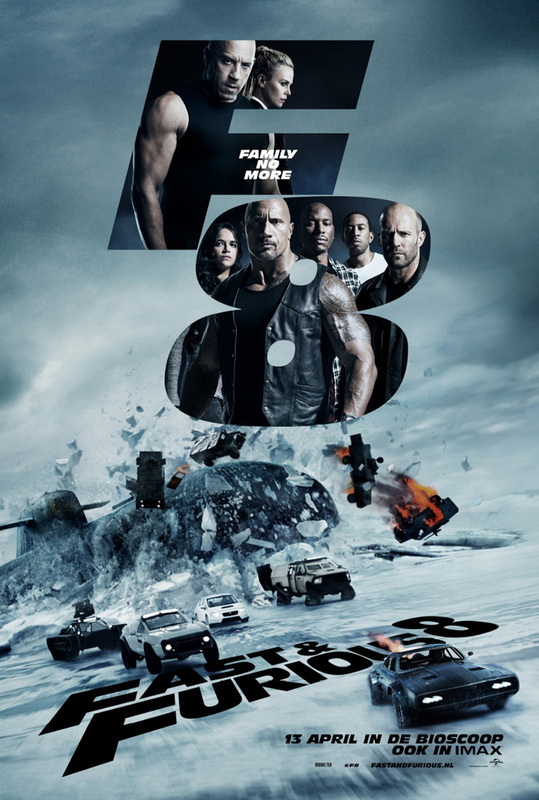 They show that people have been waiting for this series even since the release of “Furious 7”. Nevertheless, after watching all of the previous series of Fast and Furious, i can say that this movie isn’t hyped me that much because the films averagely tell about action of some bad guys that hired by the government who are fighting against criminal groups. Unfortunately,they did the same thing in this movie and i think it’s not impressing me, even though there are some things that hooked me up when i watched this movie. Fate of the Furious tells about Dominic Toretto which used to be the protagonist was hired by “Cipher”, a leader of cyberterrorist syndicate who wanted to start a nuclear war. By abusing dom’s family, she was able to control Dominic to get what she wanted. The problems begin when Dom betrayed his team during a mission by stealing EMP from his mate “Luke Hobbs” which brought him to the jail. Shortly after got prisoned in the jail, Hobbs along with “Deckard Shaw”; an assasin who imprisoned by Hobbs were hired by Frank Petty a.k.a Mr Nobody. With a full team member including Deckard Shaw as their ally, they were trying to take down Cipher and taking Dom back to the light side. High technology gadgets also influencing the whole movie which is something new to me compared with Fast and Furious (2001). A thing that i don’t like about this movie is that the usage of the high technology makes this movie doesn’t look so natural and it makes the movie so fictive but if you’re a type of person who love to watch a sophistication of an action movie, this is the right movie to watch. From 1-10, i give this movie 6/10. This movie is still a good deal to watch so, go for it.